This evening I am presiding over a *tender* Dirt Bag, with a healthy dash of skepticism after this first, very distressing item. 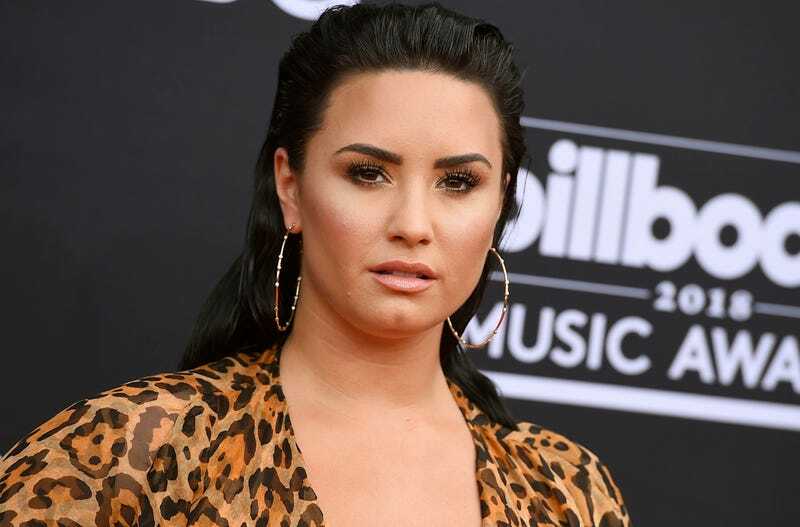 On Tuesday, reports surfaced that pop star Demi Lovato had been rushed to a Los Angeles hospital after suffering an apparent overdose. TMZ reported on the basis of a law enforcement source that Lovato had overdosed on heroin. Shortly after, People reported that, according to their own source, Lovato’s condition was stable and the overdose was not heroin related. Happy 49th Birthday, J. Lo! Some personal news: Not wearing a leather baseball cap ever is my art. Please respect the creative process.